WOW!! 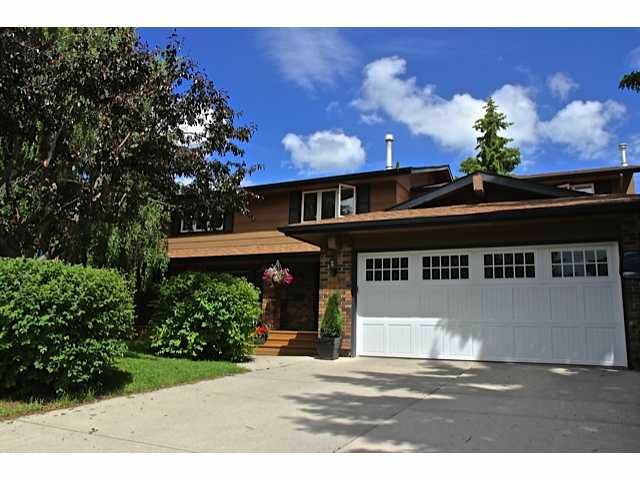 This SPECTACULAR EXECUTIVE home is located on a BEAUTIFUL & QUIET TREE LINED street. With over 3,500 SQ FT of completely RENOVATED living space this traditional floorplan features 3 full & 2 half BATHS,4 Bedrooms upstairs,2 with their own ensuites! The MASTER BEDROOM has it's own PRIVATE balcony and a SPECTACULAR ONE OF A KIND ENSUITE!! The main floor has a living room with CORNER FIREPLACE,a formal dining room,a family room with another fireplace,a beautiful kitchen with GRANITE COUNTER TOPS,STAINLESS STEEL APPLIANCES and has one of two PATIO DOORS leading out to the PRIVATE,peaceful backyard with 2-TIERED deck,patio,gardens,a hot tub and fire pit! Tons of room for those Backyard PARTIES!! And now,for the lower level.. DRY! WOW! The BAR rivals any LOUNGE, with Granite counters,2 TAP KEGORATOR,BAR FRIDGE,TV,surround sound,PROJECTION THEATER,Office nook and a 1/2 bath. All this AND new HIGH EFFICIENCY furnaces,water tanks,air conditioner,electrical and plumbing! Call your favorite Realtor to view!